Camping season is just around the corner! 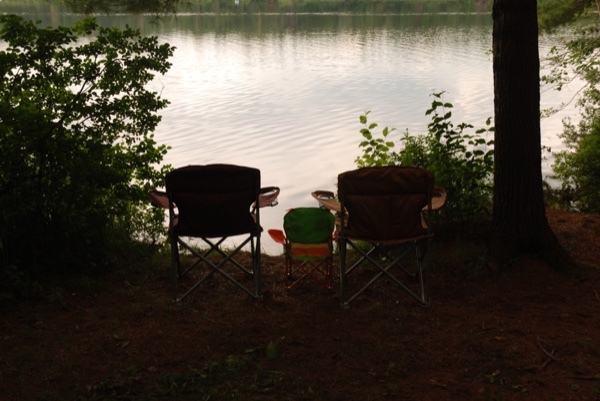 My family loves camping because it’s a great way to spend time together while having fun in nature. Most of all we enjoy relaxing by the water, roasting marshmallows on the campfire and waking up in the morning to make a big breakfast! I always enjoy morning best while camping. There is nothing like waking from a nights sleep in our tent and heading outside to the fresh morning air in the woods. The birds are singing and the lapping of the water in the background completes the atmosphere. Mornings are also time for breakfast! We make our breakfast over the campfire with a cast iron pan each morning. Like most campers, eggs are the essential centrepiece! The delicious campfire roasted potatoes and deli meats would not be the same without them! 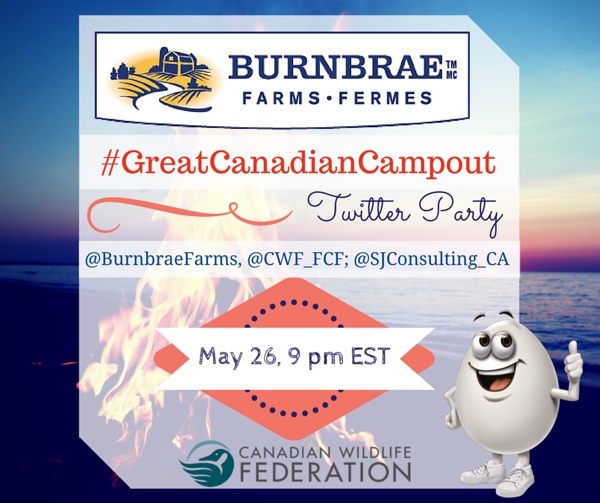 Don’t forget to follow hosts @BurnbraeFarms, @CWF_FCF; @SJConsulting_CA via Twitter to participate in the party. Please be aware that the party is open to residents of Canada 18+, excluding Quebec. For official rules and regulations, please read HERE.